We enjoy crafting all kinds of different chainsaw art. 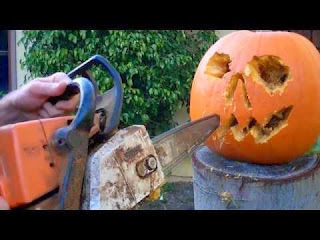 There’s no better way to express your artistic skills than to take a chainsaw to wood! It’s unique, creative, and lets you display your talents in an unusual way. More and more artists are experimenting with chainsaw art as a new way to carve out something lasting and iconic. The art form has become popular over the last thirty years, with all sorts of interested artists trying out chainsaw carving as a new means of expressing themselves. The skillset’s popularity stems from a combination of the ancient concept of woodcarving and the modern technology of electric chainsaws. Today, chainsaw art is exceptionally popular all over the world. Another example of recent chainsaw carvings include this wooden owl on a stump, painstakingly cut and refined over many hours of cutting. A carving like this requires intense concentration and focus over an extended period of time. It’s not easy to do! As a result, it’s probably one of the most impressive examples of chainsaw art that we’ve seen in a long, long time. 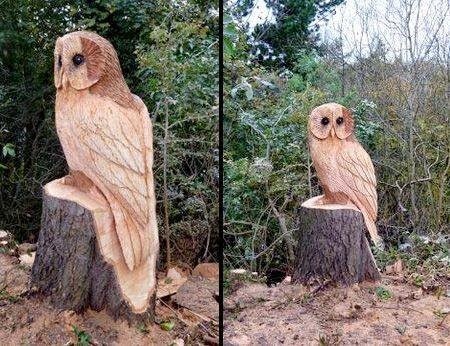 Carvings like these portray the level of mastery that some chainsaw artists have, truly separating them from the pack. 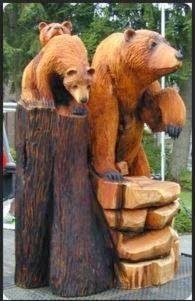 One of our recent favorite instances of well-done chainsaw carvings is this sculpture of a group of bears. Take a look at how lifelike their fur coats and facial expressions look – it’s really quite incredible. The larger bear was carved with a curious expression, facing forward and half-raising a paw in the air. These are three of our recent favorite examples of chainsaw carving. When it comes to chainsaws, no one has as many parts from leading brands as HL Supply does. Take a look at our collection of chainsaw parts and accessories here, so you can put together a chainsaw that’s right for you and your needs. We carry aftermarket chainsaw parts for all kinds of chainsaws, including newer and older models. Take a look through our collection, and find the chainsaw that fits your budget and size requirements. Of course you'll need to sharpen that chainsaw, but before you read that, read this.